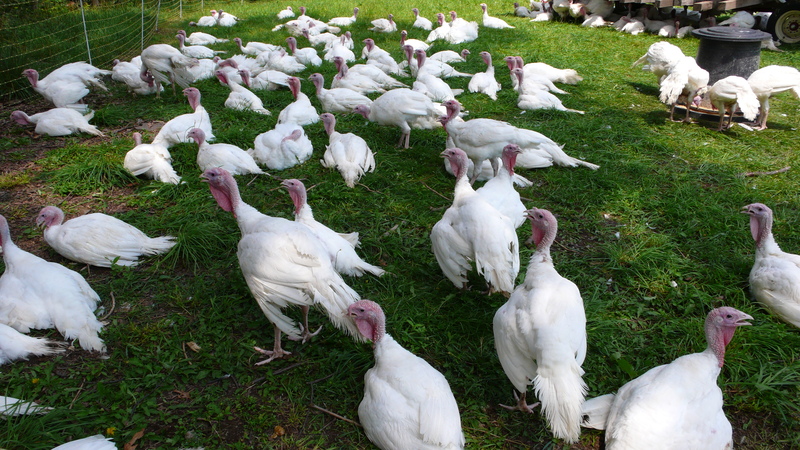 Just the Weekly Round-up of articles on Williams-Sonoma.. I love the idea of a blazing fire, accompanied by friends and family gathered together at the table to share a Thanksgiving meal. This important holiday evening is started nicely with cheery glass of Cava, or Spanish sparkling wine. I then add a fire-roasted fruit puree. I’ve taken organic strawberries, charred them in a dry, yet sizzling hot, cast iron pan, let them cool, then run them through the food processor. I adjust the sweetness to taste with agave syrup, I then add a dollop or two of this smoky-sweet puree into each glass. Use two pints of strawberries and two 750 ml bottles of Cava for 8 people. The tangy-sweet-tart quality of the strawberries when added to a mineral-tasting Cava just says a welcoming celebration in your spirited glass. You don’t need very much of this drink to say greetings and please join us at our bountiful table. Another easy and exotic drink is a spin-off on the classic Rob Roy cocktail. In this case blended, (not single malt) scotch whiskey is added to a short rocks glass. I then add some freshly squeezed lemon juice and some cool, rustic apple cider. A small splash of sweet vermouth finishes the drink. The earthy, richly scented cider melts into the deeper tastes of scotch and the sweetness of the cider. Scotch and apple cider is a very sophisticated and a slightly under-the-radar combination. To a cocktail shaker add the blended scotch, sweet vermouth, apple cider and the freshly squeezed lemon juice with ice. Shake and strain into a short rocks glass with a lemon twist and a shake or two of Angostura Bitters to finish. Serves 1. For all of you wine lovers out there, may I recommend instead a perfectly lovely, crisp punch to go along with your dinner? Hard apple cider is marvelous when combined with sparkling, non-alcoholic cherry juice and some lemon and lime juices for spark. The flavors of hard cider with the citrus juices are marvelous with turkey and all of your fixings! Mix all ingredients together, pour over ice and serve with round slices of lemon and lime. Makes 20 four-ounce portions. If you don’t want an alcoholic beverage, please substitute non-alcoholic sparkling apple cider for the hard variety and use a bit of seltzer water for that celebratory fizz. Dessert also calls for a deeply warming hot toddy. I’m especially fond of the classic Hot Buttered Rum. The extra warmth a toddy offers is the perfect send-off to your friends. This drink is an exotic approach to the classic boiling hot water-based toddy, with the addition of sweet butter. You can also use freshly whipped cardamom and ginger-sweetened cream on top of the mug instead of butter; it’s your choice. I like to use dark spiced rum or a home-spiced whiskey for this hot drink. For an interesting after-dinner drink, I suggest something a rich glass of Pedro Ximenez Sherry or an older vintage of Madeira — it’s rich and thick, a dessert in a glass! Ask your local wine store what they carry. 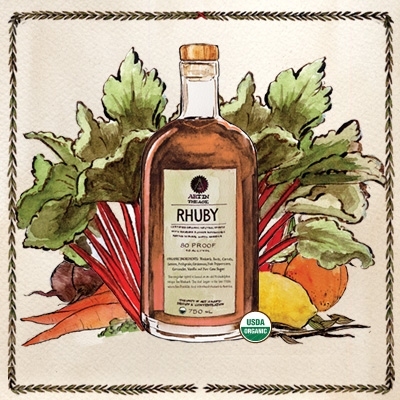 Use this rule of thumb: dry sherry for appetizers, sweet juicy sherry with dessert. Pour a shot rum or whiskey into 4 or 5 preheated mugs, then distribute the chai tea among the mugs. Top with butter pats or spiced, sweetened whipped cream. Serves 4 to 5. *How do I spice whiskey? Add apple pie spices with a split vanilla bean to a cheesecloth bag. Submerge into a bottle of whiskey for a couple of weeks before using. Use the spiced whiskey for all your whiskey-based cocktails. Gin is suddenly hot again. I didn’t forget Bourbon, nor have I forgotten Vodka. I still take a sip of Absinthe now and again. But for a slurp of flavor, packed with botanicals and dare I say juniper, nothing comes close to Gin for sensual aromatics and freshly cut herbal flavors. Gin also is a powerful beverage-countries have made Gin their national drink- 80 proof and above are the normal dosage of palate warming alcohol. Sure Rum is my usual go/to in a snifter. But recently I’ve found that Gin has certain magical qualities on the rocks or straight from your freezer to your tongue. Sure, you may want to pour some into a glass first, your lips will stick to the glass bottle! No matter how attractive the packaging, pour some Gin into your glass first to fully appreciate the flavor packed into every glistening sip. Crisp and lively in a snifter- I’m charmed by the Celtic Botanicals and slightly salty nose. Try a couple slices of Granny Smith apple in your glass along with a cube or two of distilled water ice. This is very sophisticated Gin, meant for sipping. The apple is not just there for color- it’s there for flavor! The first tastes I get are from lavender, citrus oils and juniper berries. This Gin will surprise your sense of flavor with an 80 proof alcohol level that tastes like some of the more powerful offerings. I love this gin with a chunk of freshly squeezed grapefruit juice infused ice. Nothing more is necessary! It’s a bold Gin and you’ll know it immediately. My first impression of Hendrick’s drives the complex flavors of cucumber and Turkish Rose oil wrapping around and coating my tongue. I’ve taken chunks of a peeled, European cucumber, muddled it with freshly squeezed lime juice, Royal Rose (Rose) Simple Syrup and a couple cubes of Rosewater infused ice cubes. Then add a three shots of 90 proof Hendrick’s Gin to your glass. Finish with Q-Tonic Water to taste. That’s it! Roses, freshly cut in the garden is the initial flavor of Nolet’s Dry Gin. It’s almost fruity in nature- with the heady aromatics of sweet cream and Asian spices. I don’t recommend mixing this Gin, there is so much going on in there- cutting it with a bit of well water may be all that is necessary. I fully believe that even a drop of Vermouth would be overpowering. This Gin rolls in at a hefty 95.2 proof, but it doesn’t taste hot in the glass. Quite the opposite in fact. It’s quite remarkable stuff! Take a snifter, add one cube of ice. Add a couple shots of Nolet’s and read a good book. Suddenly Beefeater is exciting again. 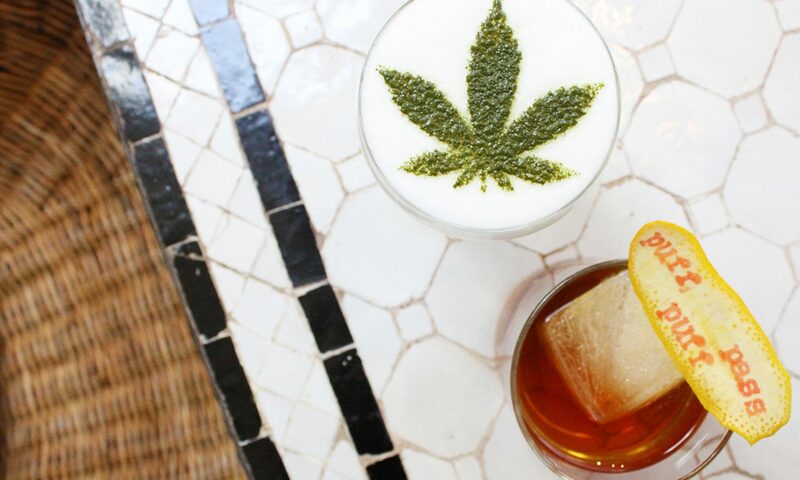 This staple of the cocktail lounge is making a comeback in creative cocktails the world over. I’ve tasted it in a Martini and straight (without vermouth) but with the addition of a lemon zest. My preference is the latter. Beefeater Gin is dry, crisp – not like the Nolet’s or the Caorunn- certainly not as aromatic as the Bulldog, nor the Rangpur- but for the drinker who seeks something a bit more Vodka-like and merely scented, may I recommend Beefeater. A drink that says- I’m cool… Here’s one for you- this should be called a Lemon Peel Cocktail. Zest a Myer Lemon into a long thin strip. Chill down a couple of shots of Beefeater Gin. Pour into a pre-chilled Martini glass. Garnish with the lemon zest and sip your way to England. Elegant in a mixed drink and it should be at just under 100 proof. I first noticed people enjoying Amaro in a street-side café. We were staying at the Hassler Hotel at the top of the Spanish Steps. Tourists find this staircase irresistible for photography and for pausing to enjoy a relaxing cocktail from the multitudes of street-side, stand-up table cocktail bars. There were several tall tables set up beside the steps, and young men in sharply cut suits were sipping tiny glasses of a caramel colored liquor with shots of espresso on the side. I also remember that there was a tall, red tinged cocktail in almost everyone’s hands. I direct tweeted world famous “Cocktalian” Gaz Regan for his Negroni cocktail recipe and am including it here for good luck. Little did I know at the time that what they were drinking would pave the way to my future desire to whisper about cocktails. I wanted to taste what these stylish people were drinking, because I was very sophisticated for a 12-year-old! At the end of my usual dinner bowl of Tortellini in Brodo, I remember sipping at my tiny glass hesitantly. It smelled faintly of citrus, and the texture of the liquor was soft on my inexperienced palate. The finish (as I remember) went on and on, seemingly for years. Italian Vermouth in many ways is similar to Amaro, but a bit less bitter on the tongue. Some uniquely flavorful ones from Italy are Punt e Mes and the esoteric, salubrious Carpano Antica. The Carpano is a rum raisin-filled mouthful of sweet vanilla cake, laced with Asian spices and caramelized dark stone fruits. Punt e Mes is lighter and nuttier, with caramelized pecans and hand-ground grits in the finish. I’m sure the alcohol is low — all these products (Amaro included) are low in alcohol, making them perfect in a cocktail. Amaro can be enjoyed as a digestif, it acts to settle the stomach after a large meal because of the herbal ingredients. But what does Amaro taste like? The flavors vary from sweet to bittersweet to herbal, featuring orange blossoms, caramel and nuts. Some taste like artichoke, others like mint, and still others like a sweetened root tea. They may be enjoyed in a cup of hot tea as an elixir, or dropped into a small cup of espresso to “correct” the sweet, thick coffee. You can drink Amaro straight or on the rocks, or even as an adjunct to other alcoholic and non-alcoholic ingredients. 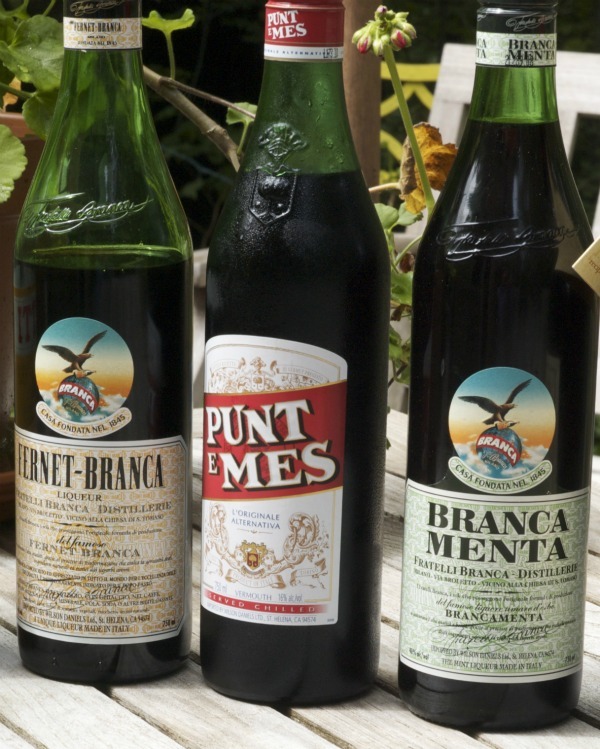 I love Ramazzotti Amaro, Averna, Branca Menta and its twin (without the mint), Fernet Branca. There are dozens that I’ve tasted around Europe and at home in New Jersey. But why is Amaro so fundamental to the Italian style of living? Perhaps the explanation will be: with everything sweet, there must also be a bitter side? 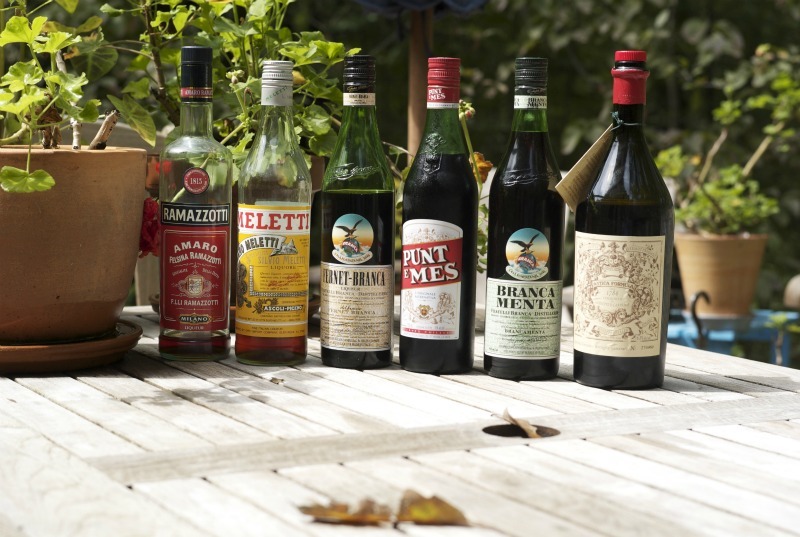 I’m not sure, since I’ve read that Amaro is more than just a drink; it’s a way of life. Whatever the explanation is, the use of the bitter herbs, roots and spices are pleasing to drink and stimulate conversation. Because of the low alcohol level, the drink is uniquely designed to extend your meal into further conversation, not end it immediately with a cup of coffee. A dash of bitter and a dash of the sweet make life go round and round. In the Ironbound section of Newark, an ebullient, down-to-earth crowd rolls up its sleeves for heaps of the freshest fare of the sea, Portuguese style. A plate of sautéed garlic shrimp. Chef Jack Fernandes cozies with a fearsome-looking, sweet-tasting bruiser of a halibut. The bar area by the front door brims with displays of iced lobster, cockles, clams, whelks, snails, and bright pink prawns, their glaring black eyes and antennae intact. Freshly charred sardines and grilled white anchovies touched with sweet red peppers and olive oil come into view along with ceramic dishes of steamed clams dotted with fiery green sauce (garlic, puréed with olive oil, hot chilies, and parsley). 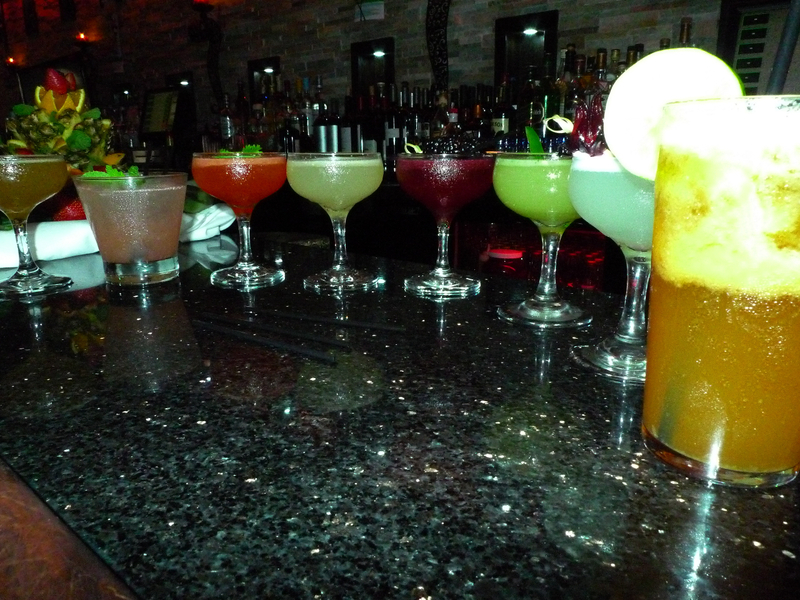 The bar is clearly not just a great place to sip a lip-smacking caipirinha. It’s just as much about feasting on sparkling seafood. Located in the Ironbound section of Newark, just off bustling Ferry Street, Seabra’s Marisqueira was founded in 1989 by the former owner of what is now the A&J Seabra Supermarket corporation of Fall River, Massachusetts. In 2000, three Newark businessmen—Jack Fernandes, Antonio Sousa, and Manuel Cerqueira—banded together to buy the popular restaurant. They work in the restaurant, too—Fernandes running the kitchen, Sousa and Cerqueira the front of the house. Their supportive attitude has fostered a strong esprit de corps. Cheerful, efficient waiters in black pants and crisp white shirts lead diners past the perennially packed bar and the bustling glassed-in kitchen to the blue-and-white tiled dining room. Seductive aromas of sautéed garlic shrimp accompany them on the journey. Hardly a word of English is heard among the patrons. A good way to start is to order garlic shrimp and sop up the garlicky, saffron-laced, white wine sauce with the warm, locally baked, crusty bread. Don’t be put off by the need to peel the shells. It’s part of the fun of eating Portuguese. The aforementioned caipirinha (which is Brazilian, but never mind) goes well with fish and shellfish, thanks to its large hit of lime juice and its fuel of cachaça, which is Brazilian sugar cane rum. Fresh North Atlantic sardines, charred and smoky from the charcoal grill, come with hunks of fresh lemon. If you’ve only had canned sardines, you’re in for a discovery. Eat them with your hands; they’re gone in two quick bites. Fresh grilled white anchovies also take you far from their oil-cured cousins. Served in a cazuela (ceramic bowl) with sweet onion and red vinegar, they are not at all salty and are in fact reminiscent of fresh brook trout. For a hearty and heady meal in a bowl, try sopa do mar, heaped with whole Jonah crab claws, whitefish, hake, and several head-on giant shrimp peering over the steaming surface of tomato-and-fish stock. Most entrées come with thinly sliced, pan-fried, Portuguese-style crispy potatoes, another perfect soaker-up of broths and sauces. Sautéed green beans and sliced carrots in green garlic sauce complete the presentation of delicious charcoal-grilled grouper. Two split, grilled Nova Scotia lobsters come doused with a tasty butter sauce. Seabra’s staff honors requests for no sauce or sauce on the side not with rolling eyes, but with a warm reply: “Sure, no problem.” The waitstaff is also adept at finding the right Portuguese wine or sangria to complement the food. The best Portuguese wines, little known here, are great values—high in quality, low in price. A fine entrée is pescada cozida com todos—white potatoes, hard-boiled egg slices, and sweet onion simmered with hake, a sweet, white-fleshed fish served in seaside towns along Portugal’s coast. Another entrée, bacalhau (dried, salted codfish) is served roasted with olive oil, garlic, green peppers, and onions, in a deep bowl. To extract most of the saltiness, Seabra’s soaks the crusty slabs of bacalhau for several days before cooking. The kitchen staff turns out more-than-respectable meat dishes, like luscious, spit-roasted suckling pig with baby clams, and zesty pork tenderloin pounded into scallopini, pan-fried till crisp. Grilled short ribs smeared with a sweetly perfumed, caramelized garlic paste, make irresistible finger food. Same for baby lamb chops served with garlic flan. For dessert, the dense, creamy, sweet house-made flan is even better with pulls of Seabra’s smoky, thick espresso. Caveat: The noise level can be high. Best defense: Bring a bunch of fun-loving friends and create a joyful noise of your own. Carnival of Chaos Cocktail uses Tuthilltown White Whiskey! Muddle Maraschino cherries in a shaker glass. Add fresh ice and shake. Serve on the rocks in a short glass with a few slices of apple.